I can’t find any useful information about the Mega2560 R3 Pro Mini, no datasheet no info no explanation of pinouts, and I don’t have a sample to check. This was made entirely from online photos and guess work, so you need to throughly check it before production because I can’t verify it’s accuracy. From photos it looks like a compact version of the official Arduino Mega2560, with it’s better Atmega16U2 chip, but the DC power supply has been removed. 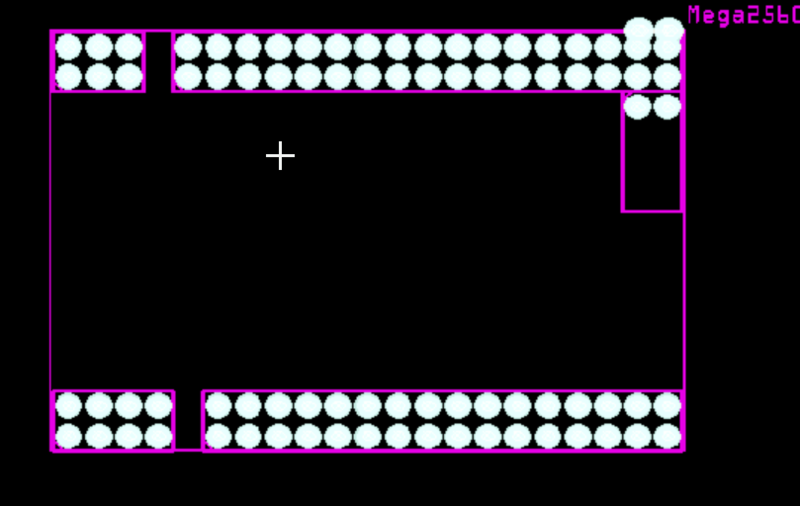 Other photos show it plugs into prefboard, so I assume it’s 21 x 15 pins on a 0.100" pitch. This Meduino Mega2560 Pro Mini board is a small version of the Mega2560 board. It’s completely compatible with the original Arduino Mega2560. 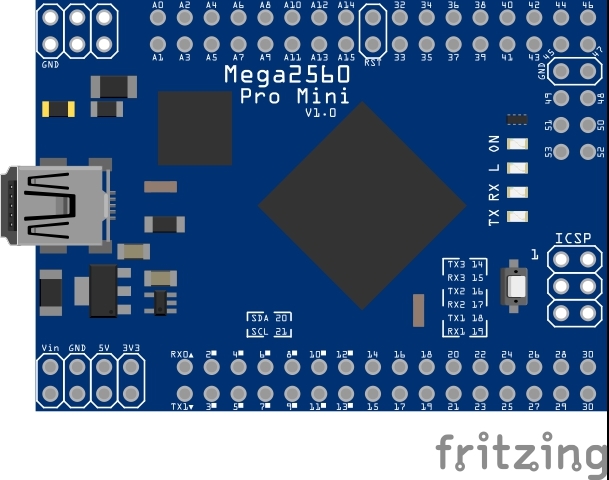 For the original Mega2560 it has a big board size, some time it maybe not easy to embed it into your system, the Meduino Mega2560 Pro Mini board will be more easy for embedding it into your system. It’s cute and small size. 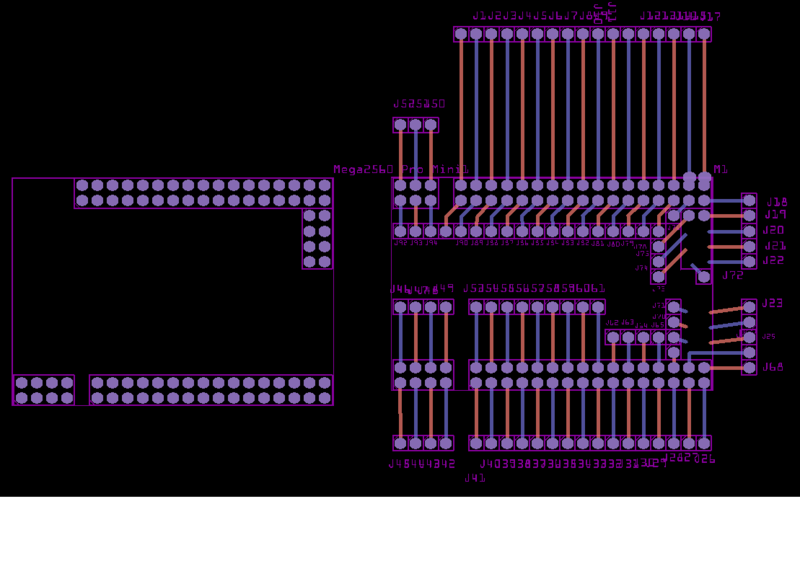 There are versions without headers, but this the version with female headers attached to the underside. EDIT : My part is probably wrong - I don’t have one to check -, so use the one in the post below. I know this is an old post, but I just bought a couple of these and found some errors. The board is .1" too wide the distance between pin 31 (mislabeled BTW) and 47 should be 1.3" not 1.4"
I have made a board from this part and it worked for me.